Memorial Hermann Medical Group (MHMG) Friendswood provides highest-quality primary care for patients in Friendswood and nearby communities. Our family medicine medical providers focus on precise diagnosis and up-to-date treatment, but the heart of our practice is caring and empathetic relationships with patients of all ages – newborns to seniors. Our physicians, who have years of experience in family medicine and internal medicine, focus on building long-lasting relationships with their patients. They are specially trained in diagnosis, treatment and prevention of disease and skilled in managing diabetes, hypertension, infectious diseases, kidney disorders and other chronic conditions. Dr. Kim Tran is a family medicine physician providing medical care services to patient’s ages newborn and up. Dr. Tran earned her medical degree at The University of Texas at Southwestern Medical Center in Dallas, Texas, and completed her residency at Methodist Charlton Medical Center in Dallas, Texas. Fluent in Vietnamese and English, Dr. Tran treats patients for both chronic and acute concerns. In addition to annual physicals and well woman exams, she treats patients for UTIs, ear infections, common colds, flu, diabetes, hypertension, thyroid problems, and many others. 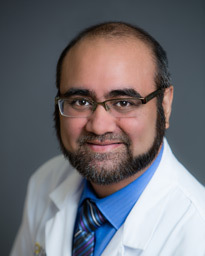 Dr. Firas Quddos completed his medical degree at St. George's University School of Medicine in Grenada, West Indies, and completed his residency at Summa Barberton Hospital in Akron, Ohio. Board certified in family medicine, Dr. Quddos sees patients six and older for acute episodic care, chronic disease management and physicals. His special interests include preventive medicine and long-term wellness. A graduate of the University of the Philippines Manila College of Nursing and the University of Texas Health Science Center in Houston, Katrina Zalavarria, MSN, RN, FNP-C became a nurse practitioner to help patients manage their chronic diseases with the proper education and tools. Memorial Hermann Medical Group Friendswood is located in Friendswood on East Winding Way Dr. southwest of Baybrook Mall. Ample free parking is available.